Noah Kippley-Ogman studies the history of fundraising for higher education and its effects on American colleges and universities. Noah is currently Assistant Director of Institutional Advancement at the Bard Prison Initiative. He previously taught at CUNY College of Staten Island; New York University, where he earned his PhD; and the University of Illinois at Chicago. His dissertation is a study of the way that routine higher education fundraising grew as a profession over the twentieth century as colleges and universities both public and private increasingly relied on private gifts to balance their annual budgets. 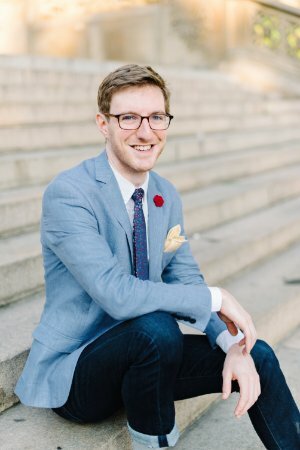 At NYU, Noah's teaching was recognized in 2018 with NYU Steinhardt’s Outstanding Doctoral Student Teaching Award. He was a leader of the Graduate Teaching Collaborative in the History Department and the Steinhardt ASH Doctoral Forum and served in professional roles in NYU’s Heyman Program for Philanthropy and Fundraising and the Department of Communicative Sciences and Disorders. He was also a research assistant for President Arthur Levine of the Woodrow Wilson National Fellowship Foundation and for NYU professors Bethamie Horowitz, James Fraser, and Catharine Stimpson. His university service was recognized in 2018 with the school’s highest honor for a graduating student, the NYU Steinhardt Commencement Banner Bearer Award. Noah earned a Bachelors of Arts with distinction in Natural Sciences and Social Sciences from Shimer College in Chicago and is a native of Saint Paul, Minnesota. Before pursuing his PhD, Noah was a fundraising professional at educational organizations in Chicago and fundraising consultant to organizations in Chicago and New York City. He has served on governing and advisory boards of The Bronfman Fellowship, Danebod Family Camps, and Shimer College. Noah is among the collaborators planning Outer Coast in Sitka, Alaska.